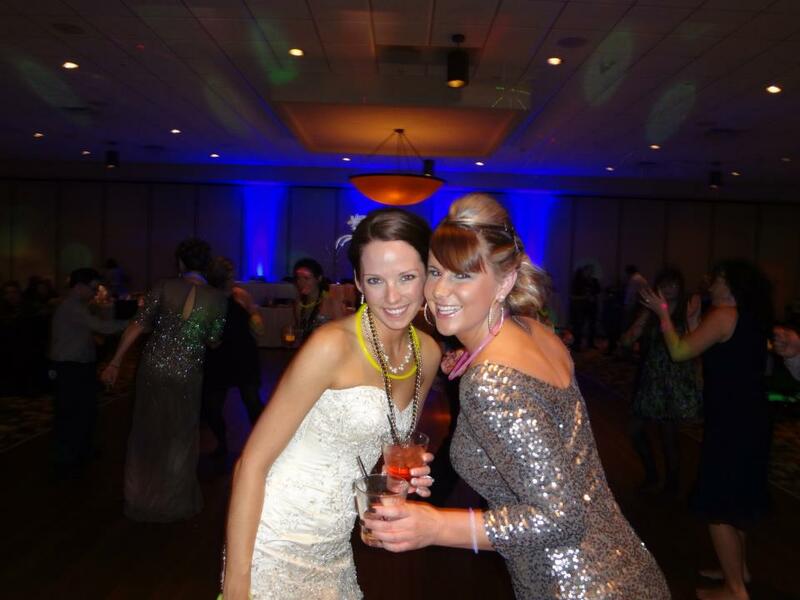 Karl & Sara Rock In The New Year! What a way to close out 2012! 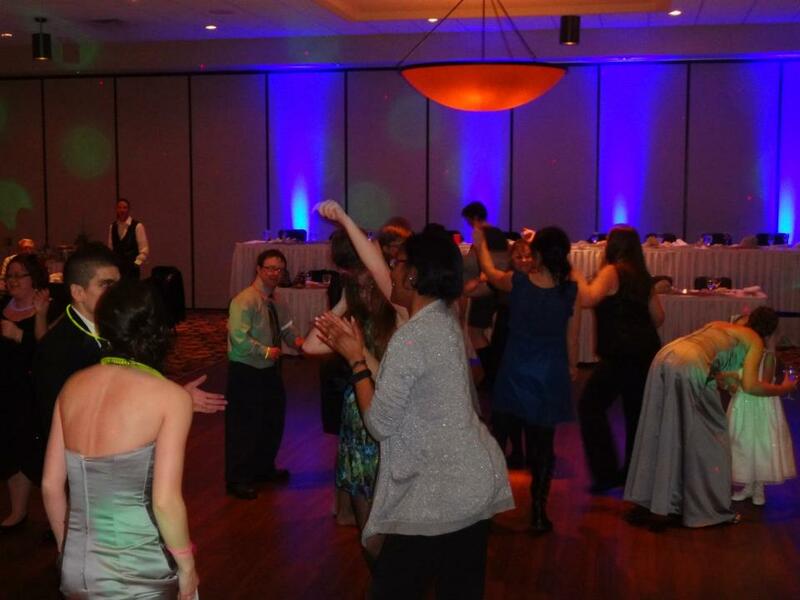 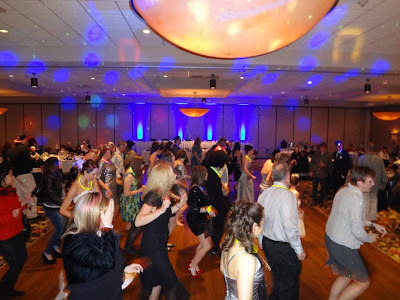 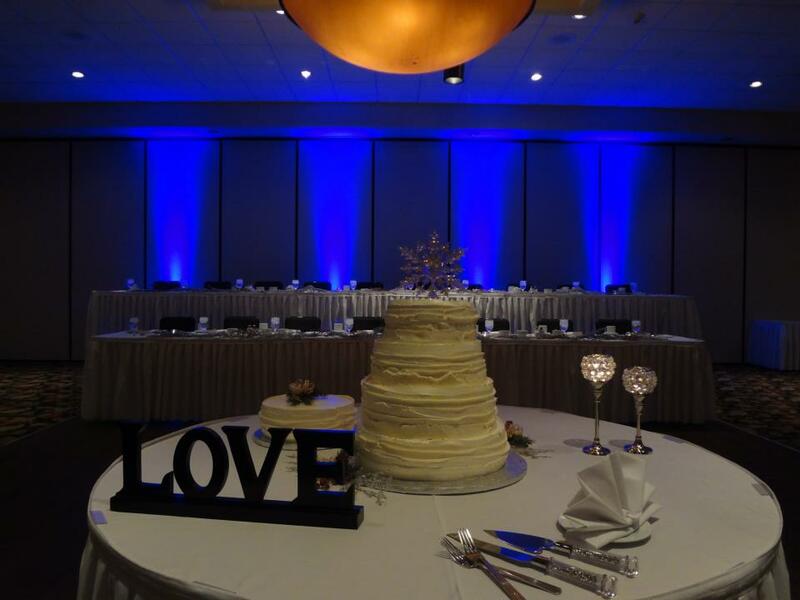 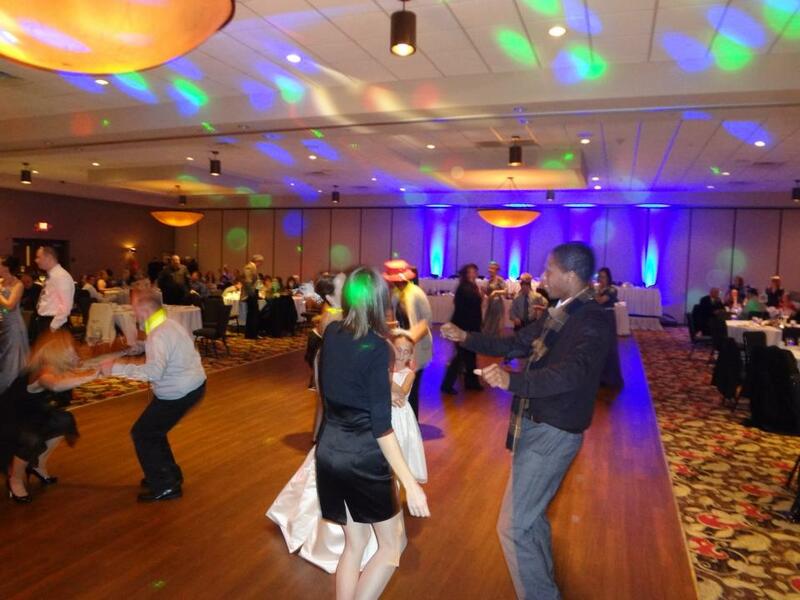 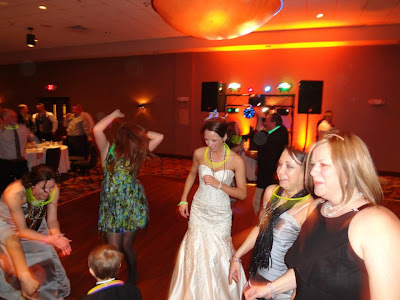 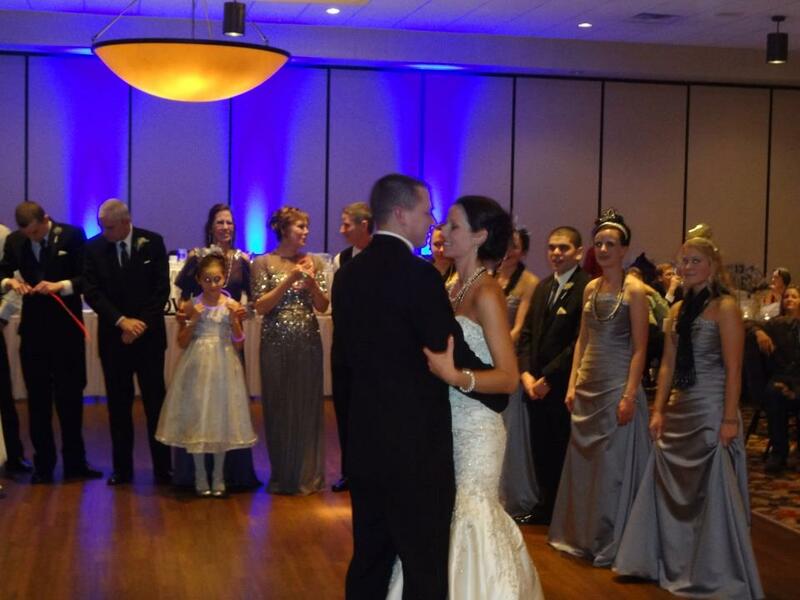 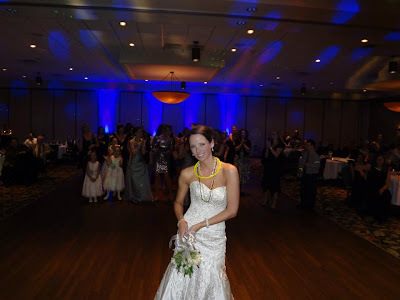 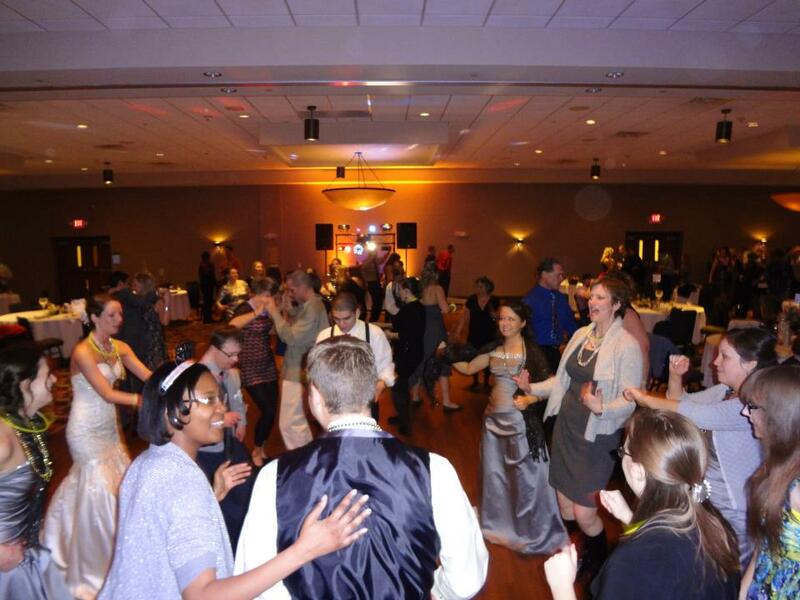 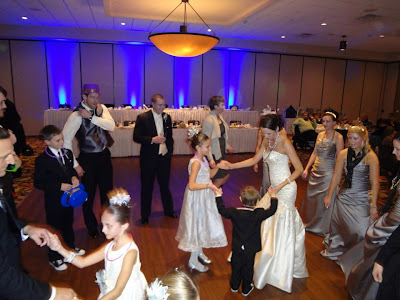 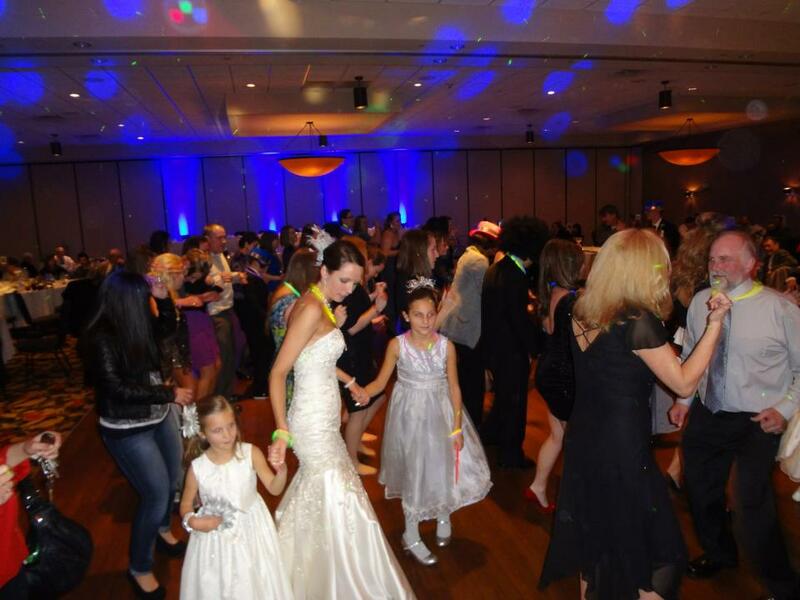 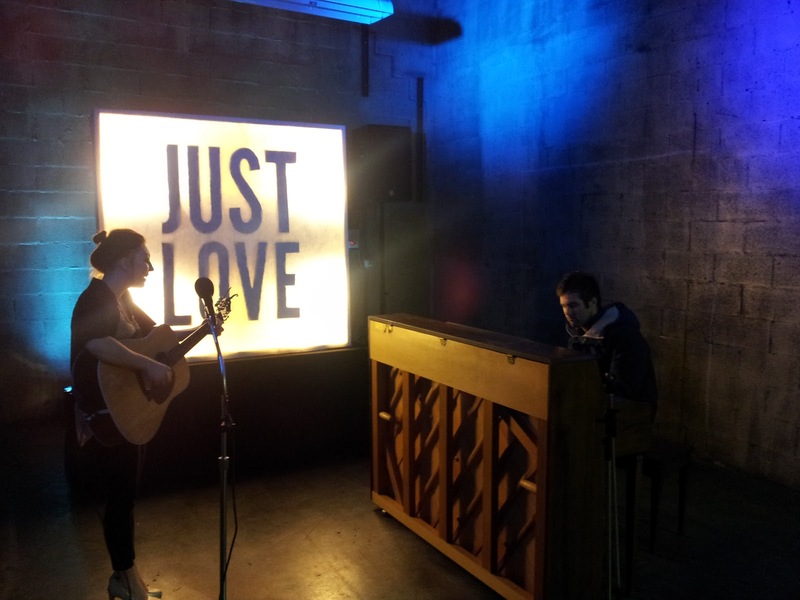 The lights were shining bright at Karl & Sara’s wedding celebration, and SSE was there to Rock in the New Year! The beautiful Crowne Plaza Hotel in Milwaukee played host to the festivities, and their excellent staff kept all of the guests happy as the clock ticked down to midnight. After a fantastic dinner, we kicked things off with some special dances, including a Father/Daughter dance surprise that we’ll never forget! 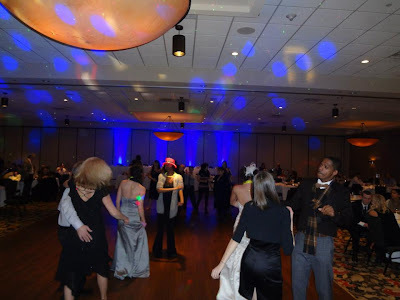 Our ballroom had a super-sized dance floor, and boy did we ever need it! 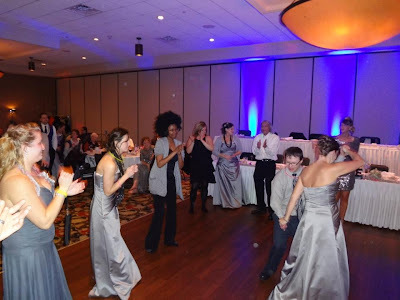 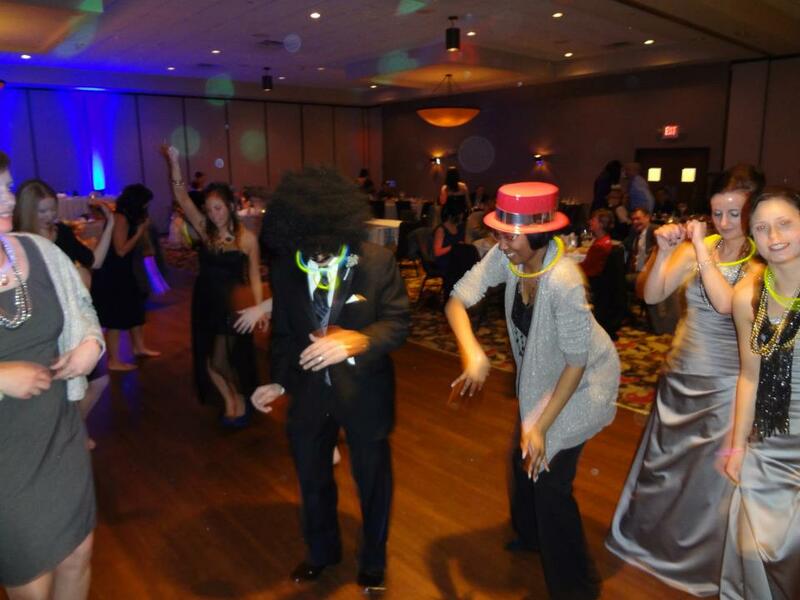 All of Karl & Sara’s guests kept the party rolling well into 2013, and helped our bride and groom begin their married lives (and the new year), in style. 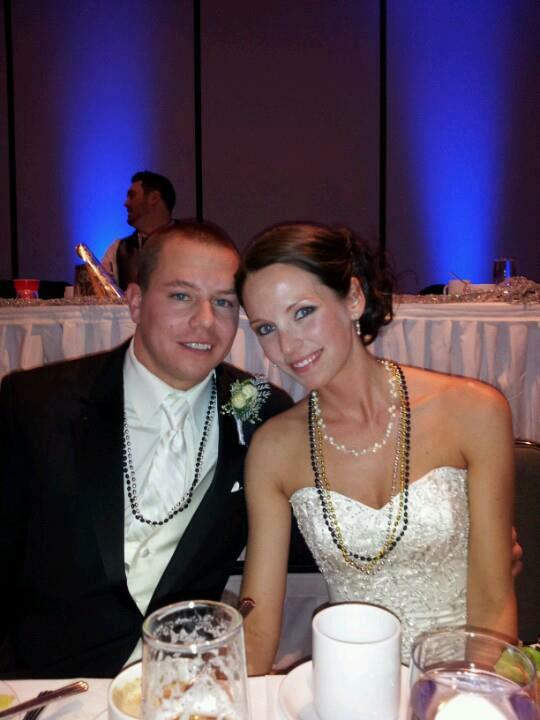 Congrats to the new Mr. & Mrs. W! The Peoples Bank of Elkhorn lit it up at their annual holiday celebration! 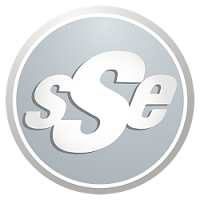 SSE teamed up with our friends at Speakers & Events-R-Us, as we took over the Evergreen Golf Club with activities and excitement for everyone. Casino tables, carnival games, caricature artists, karaoke, cocktails, and dancing? Sounds like a recipe for success to me! 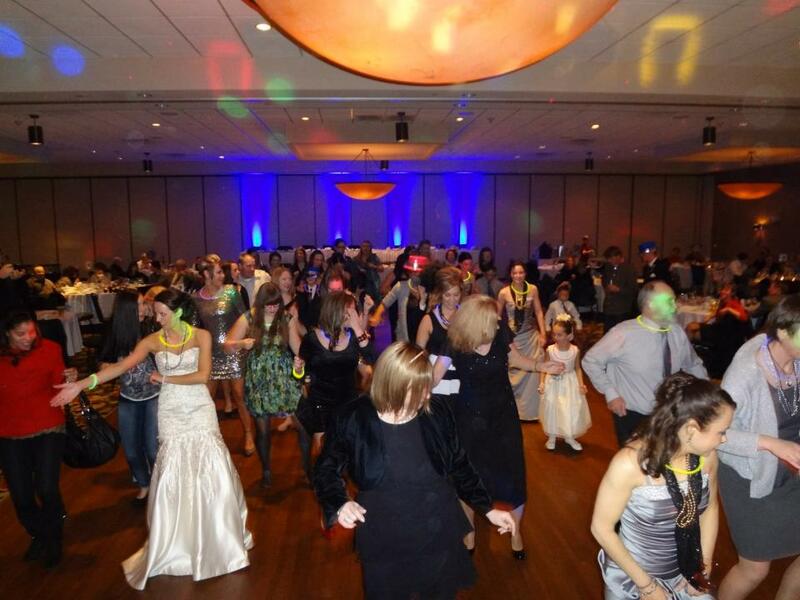 The folks at the Peoples Bank sure know how to have a good time, this is a crowd we won’t soon forget! 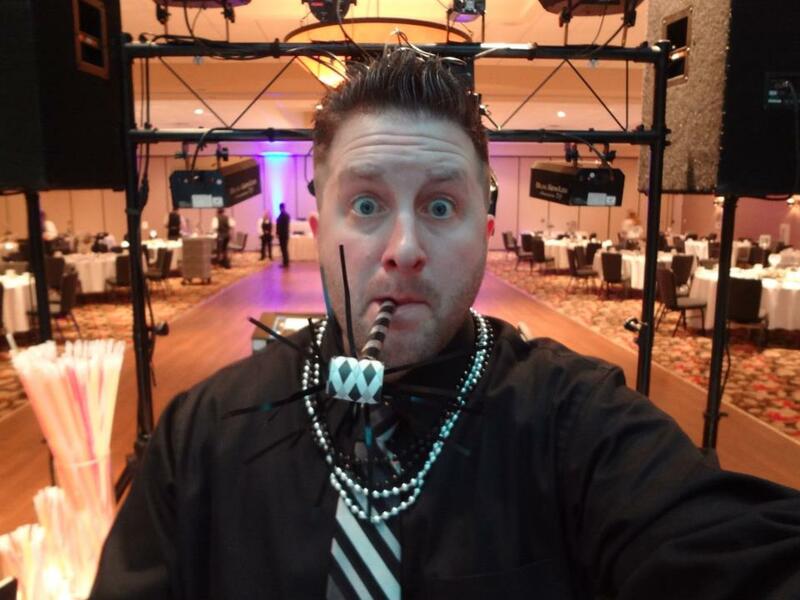 Special thanks to Jessica and her crew at Speakers & Events-R-Us, and everyone who helped make this night one for the record books. Party To The People!